Oasis Bakery: Melbourne’s very own Middle East. For 14 years, Maraw Makool and her team of dedicated family and staff have been producing the very best in Lebanese cuisine and products out of their ever expanding home-style kitchen; Oasis Bakery Cafe. Dominated by a strong family presence, with three generations of Makool’s taking hold of the reigns, Oasis succeeds in impressing everyone who walks through its welcoming doors. Establishing itself as a small bakery serving coffee, sweets and breads in the late 90s, today Oasis has expanded to includes over 4,000 imported and locally produced products – taking over their neighbours shopfronts to extend their supermarket section, making way for more produce in 2010. 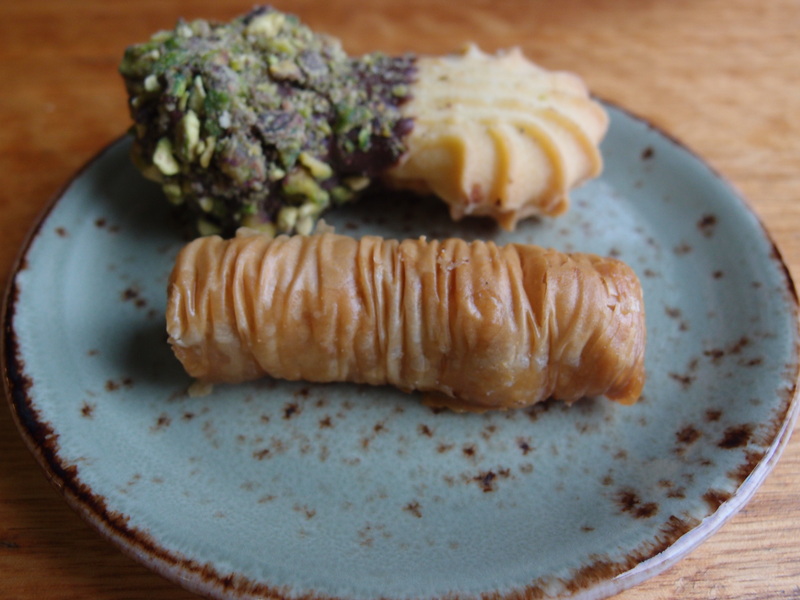 The expansion has lead to greater acclaim to Middle Eastern cuisine and although several attempts to outshine them have been made by ill-fated competitors, fortunately (or unfortunately) no competitor has even come close to what Oasis has to offer. The cafe section is a large dining area, decked out with roof lanterns and packed with tables full of hungry customers. 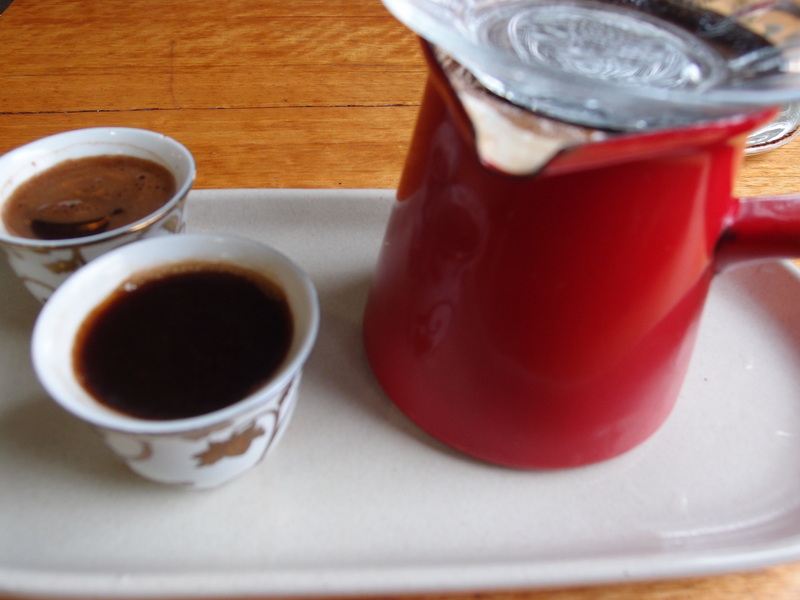 There are lots of lunch specials on offer from meat and felafel shawarma to halloumi and spinach pies and salads, as well as coffee, regular and the Lebanese traditional style and of course a huge and ever growing selection of Baklava and Middle Eastern sweets. 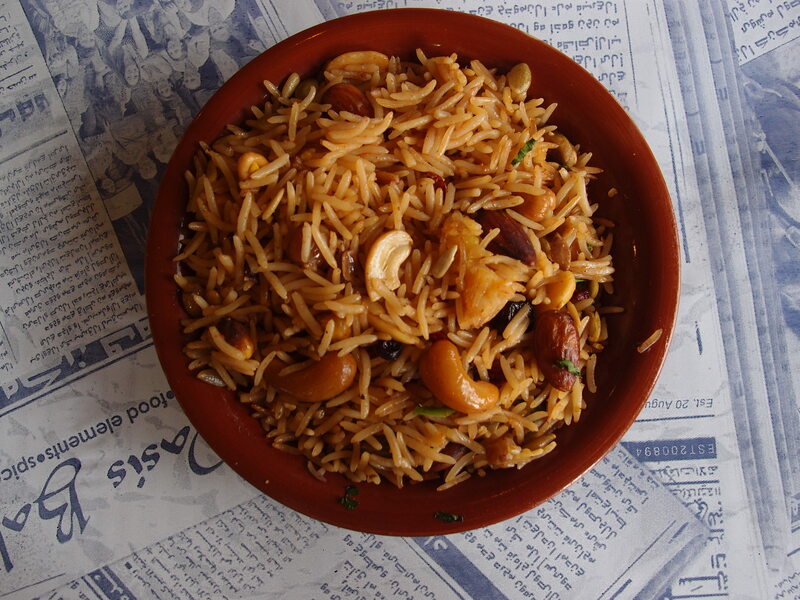 The sweet and savoury flavours come together so well in Lebanese food – rice cooked in heavy spices – cardamon, coriander seed and cloves complimented perfectly with sweet bursts of raisins and chopped nuts is a perfect side to a densely soaked pulled meat and tabouli salad shawarma, which is available open – to mix on a plate yourself – or as a tightly bundled wrap. 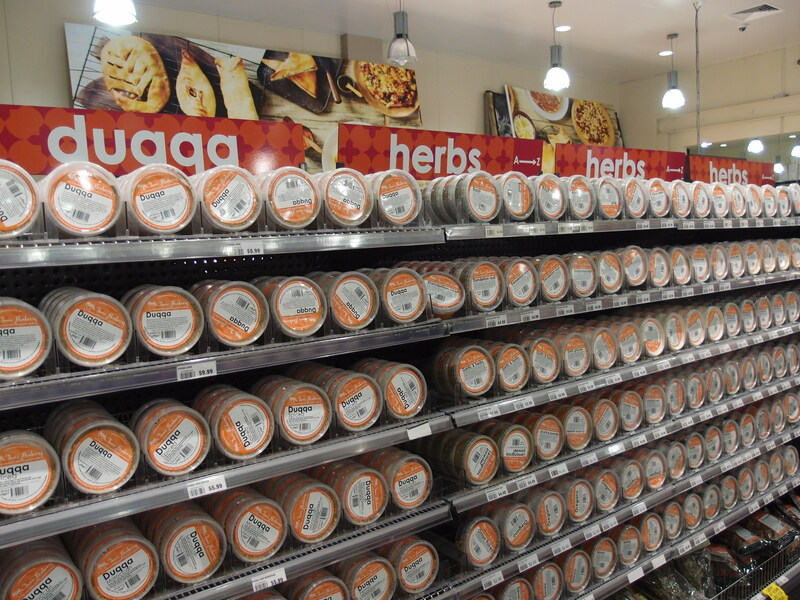 The supermarket section literally is a mecca, and home to all types of Middle Eastern produce – fresh and preserved – as well as crockery, cutlery, coffee implements and traditional tangines and oddly enough, henna hair-dye. 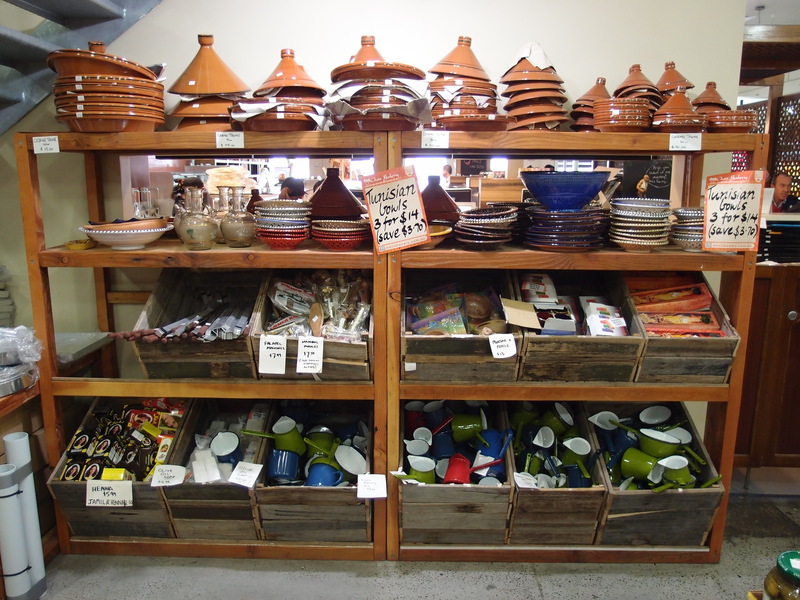 With wall to wall spices to choose from, all labelled with quirky titles such as MacGyver spices (known to “get you out of any troubled situation”) and Morerockin (Moroccan) seasoning, there are hundred of spices, for any occasion to choose from. You can also get fresh falafels, dried fruits, nuts, legumes, pulses and every possible canned-good you could ever think of. Proudly first and foremost a bakery, Oasis serves fresh cheeses and handmade pastries from Middle Eastern flat bread and pita to cheese filled pocket pastries and fresh salads and falafel, seven days a week. Throughout the year there are a wide range of events available to customers at Oasis including cooking demonstrations and celebration events full of camels (yes apparently so), belly dancers, food and of course music. They also offer catering services, have the first Middle Eastern cuisine app and cookbook entitled Yallateef and are just really lovely people.